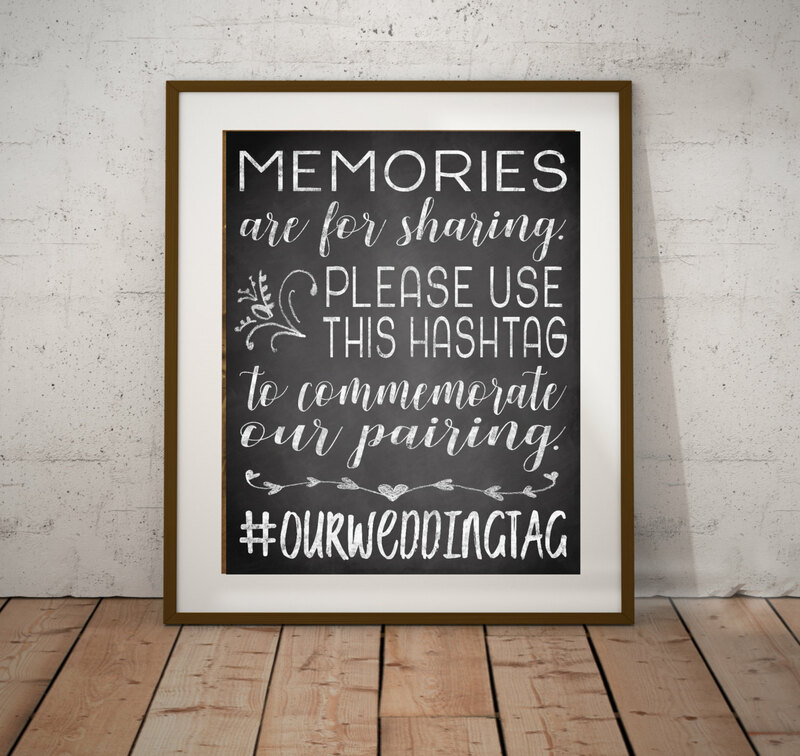 This printable chalkboard wedding sign encourages your guests to use a hashtag you've created when sharing photos from your wedding on social media. This will allow you to easily look through them all later. You will receive files for the following sizes: 16"x20", 11"x14", 8"x10", and 5"x7". All files are print-quality 300 DPI JPGs. 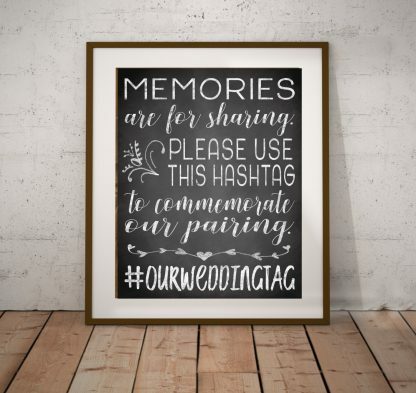 Enter your own hashtag in the Note to Seller field during checkout. Once the customization is complete, your files will be sent to you. Files are usually sent within one business day but may take up to two business days. If you are in a hurry, contact me before ordering and I'll let you know if I can complete the customization in time. PLEASE NOTE: This is a digital product, you will NOT receive a physical item in the mail. You will receive files which you can print out yourself, at home or at a print shop.